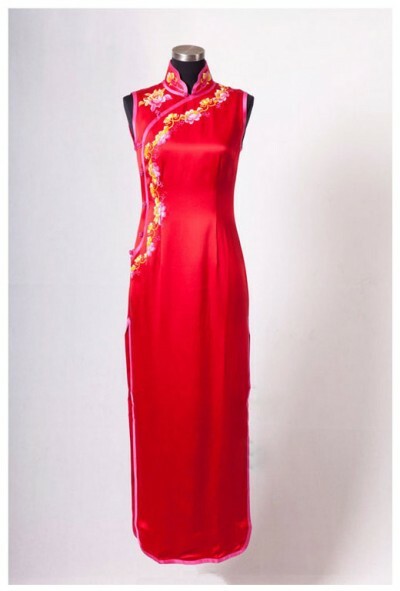 Red silk fabric with embroidery Chinese cheongsam dress. Mandarin collar with embroidery along front opening. Sleeveless style. Elegant bridal gown.